A registered trade mark of Flair, Plasticine was originally invented by an art teacher, Willliam Harbutt in the early 1900s and is a brand of modelling clay for children’s play that does not dry out. He also ensured that Plasticine was a non-toxic, sterile, soft and malleable clay. Its success is so great that Plasticine is also linked to Oscar winning films, which are made in clay animation including those of well-loved characters Wallace and Gromit. Fun and easy to use, it doesn’t shrink or harden, and can be used again and again encouraging inspiring creations. It doesn’t stick in hands and always remains soft and pliable and is great for young hands to make fun shapes with or for adult experts to create intricate models with fine details. The extent of creativity and fascination with the modelling clay was even seen at the world famous 2009 Chelsea Flower Show in a garden made entirely of plasticine called 'Paradise in Plasticine', that took 2.6 tons of the clay and 24 colours to complete and won the Royal Horticultural Society’s 'peoples choice' for best small garden. Available at Baby Brands Direct to trade are a range of starter kits, colour packs and playsets covering a range of price points. The English art teacher in his quest to formulate a clay for his students to be able to use to create sculptures created one of the world’s most loved and well-known clays that is used for creative play, movies to athletics. William Harbutt obtain a patent for Plasticine in 1899 and commercial production started in the UK in the 1900s. It was originally only available in grey and then 4 colours were introduced. It became very popular with children and was widely used in schools for teaching art, and went onto be used in a wide variety of other purposes. The Harbutt company marketed Plasticine as a children's toy by producing modelling kits based on characters from children's stories, such as Noddy, the Mr. Men and Paddington Bear. Flair Leisure licensed the brand in 2005 and relaunched Plasticine and went on to acquire it just a year later. 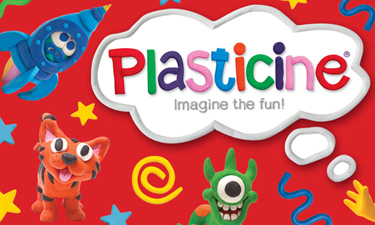 Baby Brands Direct is delighted to be working with the Flair group adding the company to its portfolio in 2018, through which it is now able to offer Plasticine to its retailers spanning from toy stores to nurseries.